Good morning from gorgeous Sandals Bahamaian! 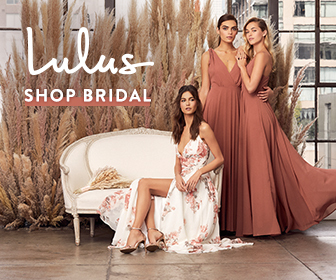 I am having an amazing time with Aisle Society and I thought there couldn’t be a better time for some tropical beach glam Bahamas wedding inspiration! I wanted to celebrate this once in a lifetime opportunity with a board designed in sweet tropical shades of coral, sparkling gold, and mint! As if I wasn’t already enjoying the laid back luxury of the Sandals lifestyle already, we met the Director of Romance and received an overview of the way they plan destination weddings in style. 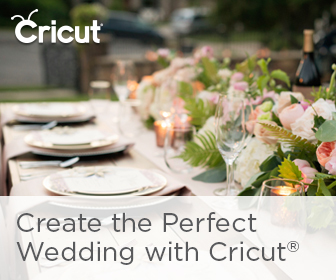 I loved the virtual Wedding Designer tool they created to help couples plan their ideal tropical wedding – what better way to plan a personal and unique wedding in paradise! 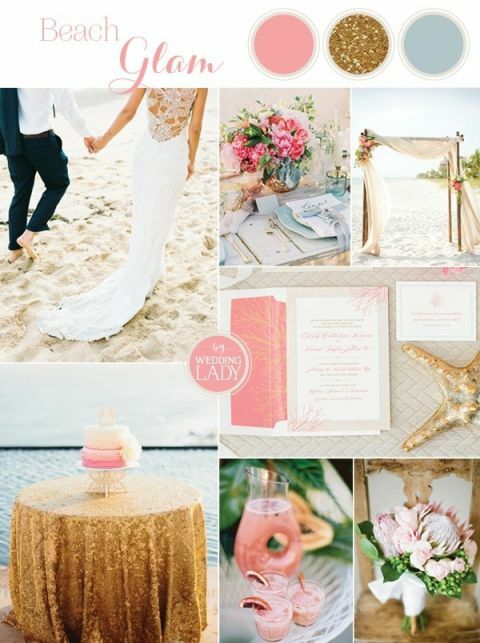 Before using it to create my own ideal tropical wedding inspiration, I wanted to share my ideas for a glam Bahamas wedding with romantic beach details paired with shades of coral, sparkling gold, and mint. 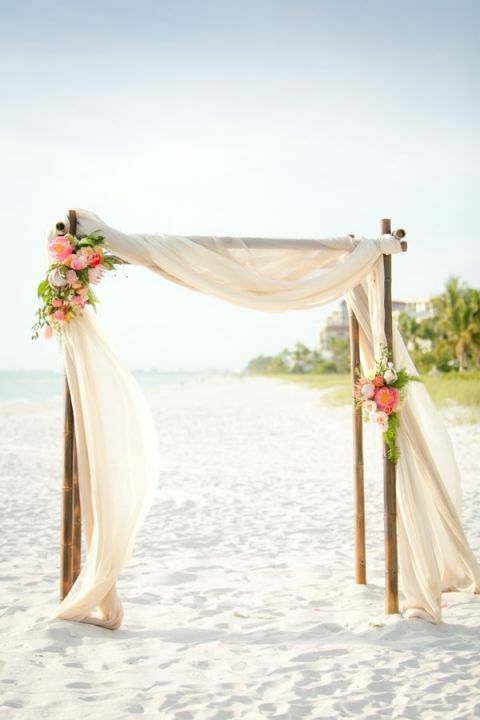 Laid back vibes, from a flowing floral lace wedding dress to a ceremony backdrop fluttering in the beach breeze, characterizes this wedding day perfectly! 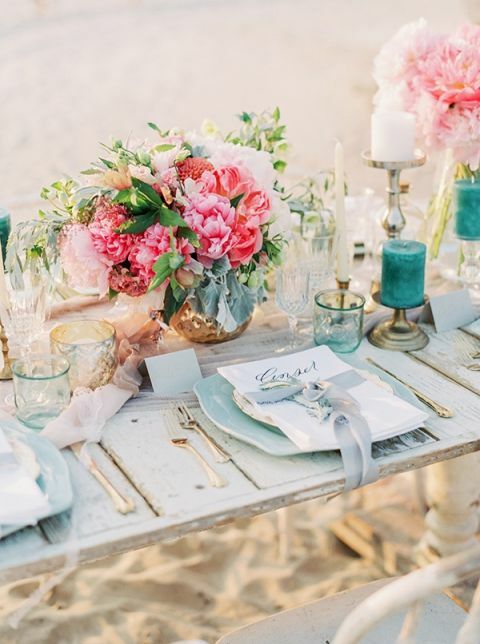 With the details all handled, it’s time to kick back and relax, but that doesn’t mean sacrificing the details that I adore – from an intimate reception on the beach to the perfectly picked wedding cocktails, every aspect is overseen by a skilled team dedicated to making your day and your stay special and memorable!